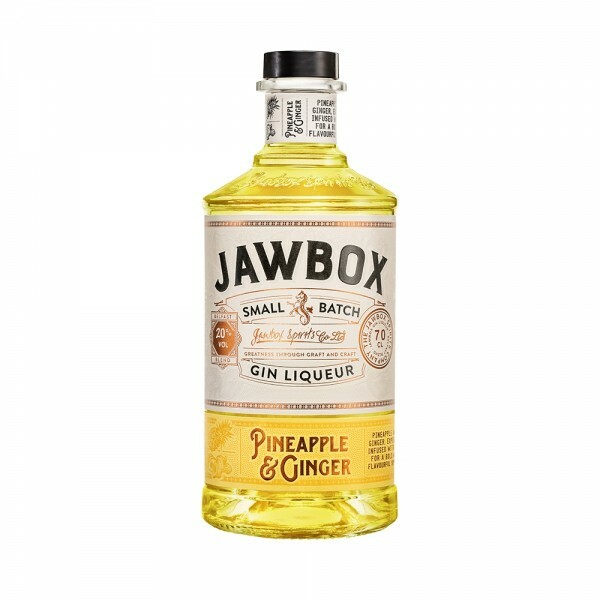 A brand new and intriguing flavour from Jawbox Gin made with fiery ginger spice and tangy, intense pineapple - creating the Summer sip you didn't know you needed. Bursting with juicy pineapple flavours that immediately transport you to the sunshine - the liquid has the perfect balance of sweet and spice is complemented by usual botanicals from Jawbox Gin. Enjoy yours with a slug of ginger ale and a lime wedge, or pop some in your prosecco for some fruity fizz!